Although lilies tend may seem like rather exotic plants, they are fairly hardy and will survive winters outdoors in many locations (through zones 5-9). However, gardeners in colder, wetter climates may prefer to lift their lily bulbs for overwintering in a less harsh environment. You can also try leaving them in the ground and providing some additional protection such as mulching or cloche protection. This article will explore all of these methods — just see Step 1 below to get started. Lift your lily bulbs after the first frost. If you live in a colder climate but have lilies growing outside in the garden, consider lifting your bulbs over the winter to give them a better chance of survival. Wait until just after the first frost to lift your lily bulbs. 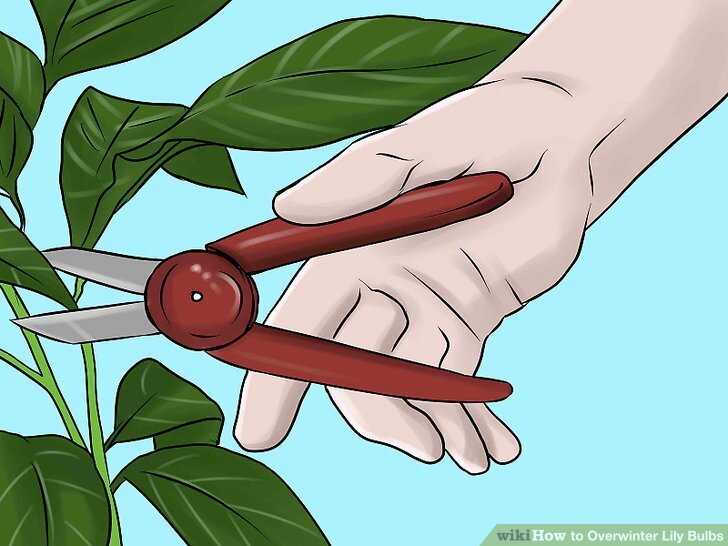 Before you lift them, cut the withered foliage back to about.3 inches (0.8 cm) above ground level. Lifting the bulbs and overwintering them indoors is particularly important for tender varieties of lily, such as tender colored callas. Carefully dig out your bulbs. Be sure to dig a much wider hole than to need to avoid damaging the bulb with your spade. 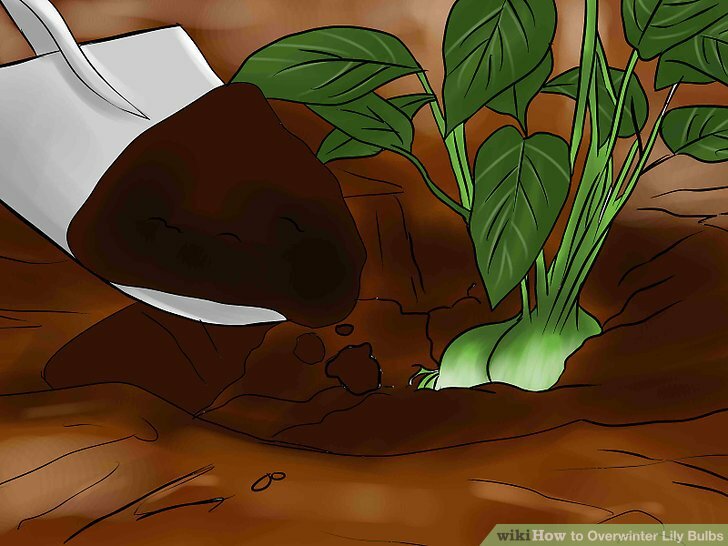 Gently dislodge as much soil as you can from the healthy bulbs without damaging the roots. 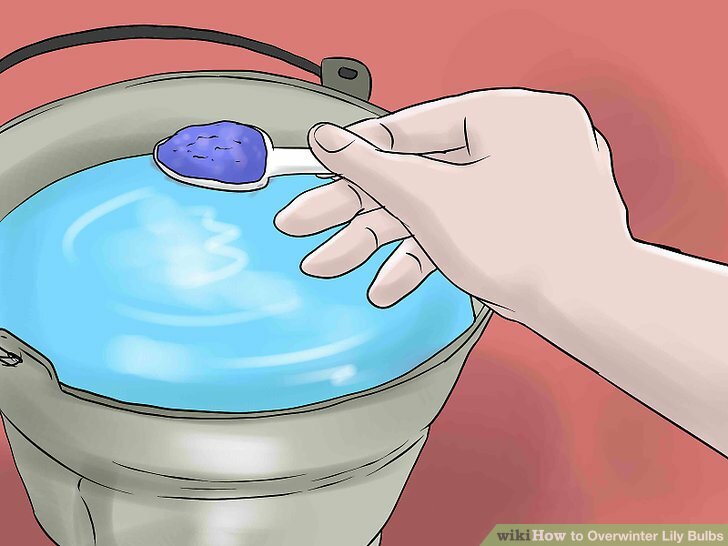 Rinse the bulbs under cool running water (eg from a garden hose) to remove the rest. Check your bulbs carefully for rot or any signs of disease. It isn’t worth keeping any bulbs that are diseased or damaged. Throw these out with the trash. 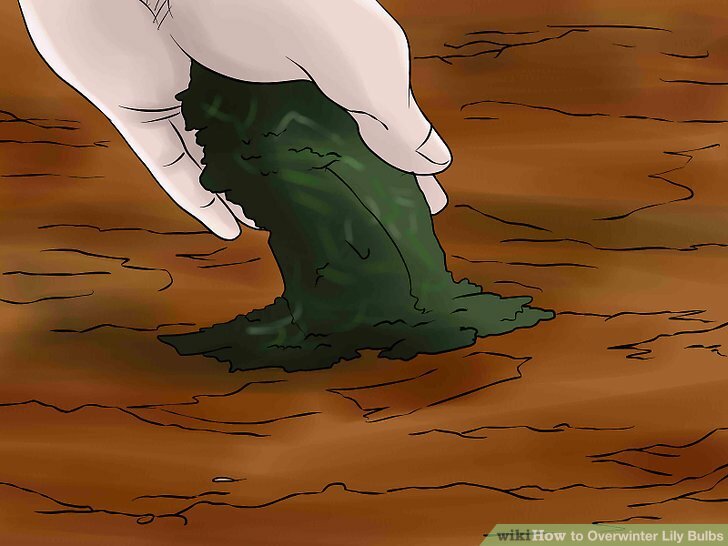 Avoid composting diseased plant matter as this can spread infection. 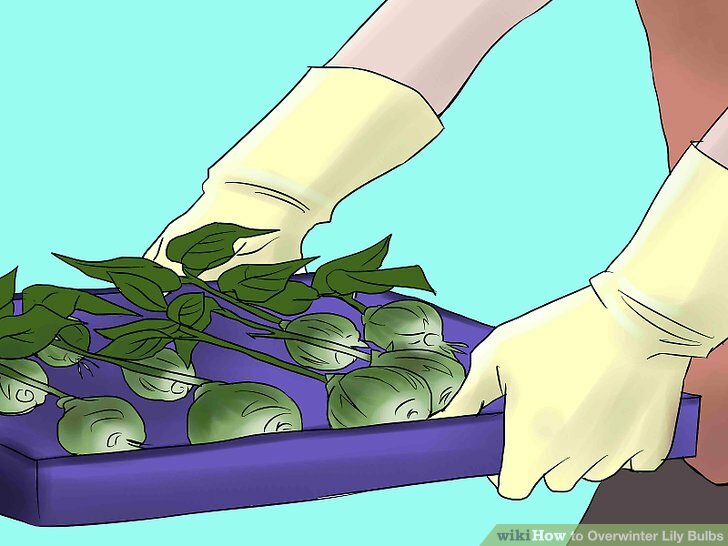 Put the bulbs on a tray and allow them to dry for a few days. Make sure the bulbs are well-spaced on the tray to allow air to circulate. A cool dark place such as a garden shed or garage is the most suitable location to dry out the bulbs. Avoid bringing the bulbs into a heated home to dry them out, as the sudden heat may come as a shock. Additionally, mold may be quick to grow in a warm environment. A temperature of 60–70 °F (16–21 °C) is ideal. The bulbs should not be exposed to sunlight. 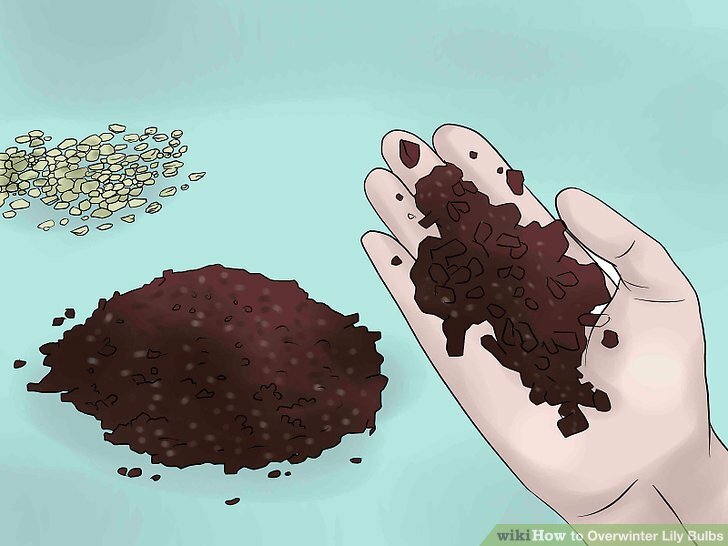 Dust the bulbs with fungicidal powder and put them in storage. 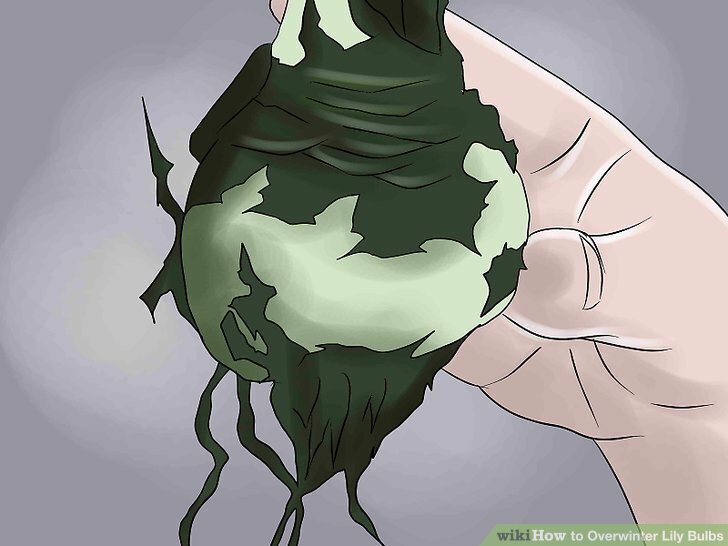 After the bulbs have dried out for a few days, dust them with a fungicidal powder. Put them into paper bags with a small amount of dry peat moss or vermiculite. You could also use a cardboard box, provided you make some ventilation holes to let air circulate. Avoid letting the bulbs touch each other — you can put moss or vermiculite between them to prevent this. The idea is to prevent one bulb from infecting another if it develops mold. Store the bulbs in a dark, dry place. Damp and rot are the biggest threats to overwintering bulbs, so protect them by storing them in a dark, dry place. However, you should not allow the bulbs to dry out completely. If the bulbs appear dry or shrunken, mist them lightly with water to prevent them from drying out too much. 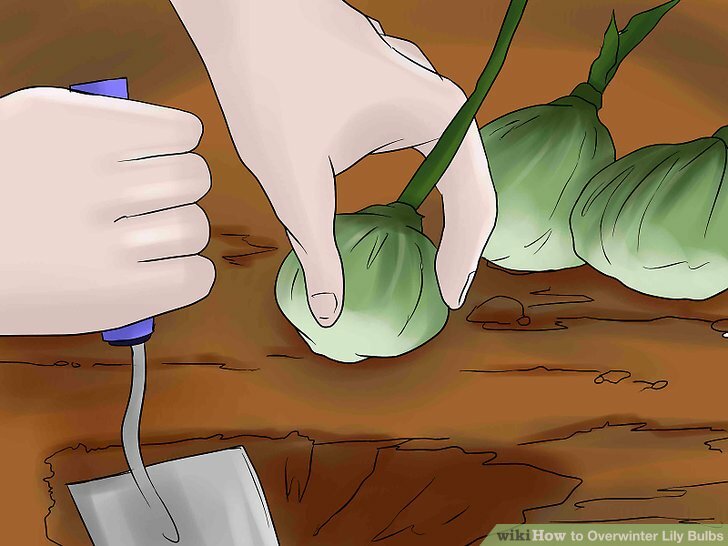 Re-plant the bulbs outdoors in mid to late spring. Bulbs need to rest for a few months before growing again. 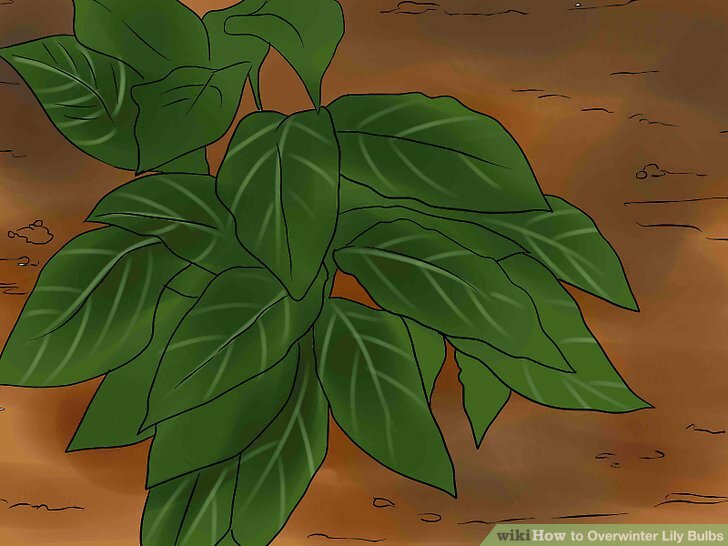 Therefore, it’s best to replant them outdoors in mid or late spring, once the threat of frost has passed and the the ground is warmer. Leave your lily bulbs outdoors in milder climates. Lilies will survive outdoors over winter in mild climates that don’t experience much sustained snow, deep freezes or heavy prolonged rainfall in the colder months. 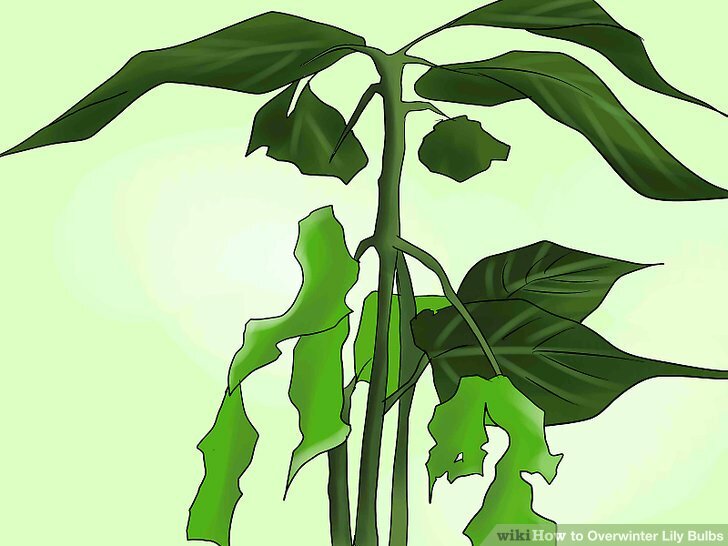 They can generally cope outdoors through winter in zones 8 and up. North America is split into 11 zones, according to the USDA Plant Hardiness Zone Map. Each zone is 10 °F (−12 °C) warmer (or colder) than the one adjacent to it. To find out which zone you live in, go to the National Gardening Association’s website and enter your zip code. Allow the plant to die back on its own. After flowering has ended, refrain from watering and allow the plant to die back. Avoid cutting the foliage until it has withered away, as this allows the bulbs to store more energy to last throughout the winter months. Lily bulbs will not do well sitting in damp, soggy soil over the winter months. In order to prevent them from rotting as a result of wet conditions, you should do all you can to improve soil drainage. This usually means incorporating plenty of grit or perlite at planting time to improve drainage. Raise the bulbs above water level. 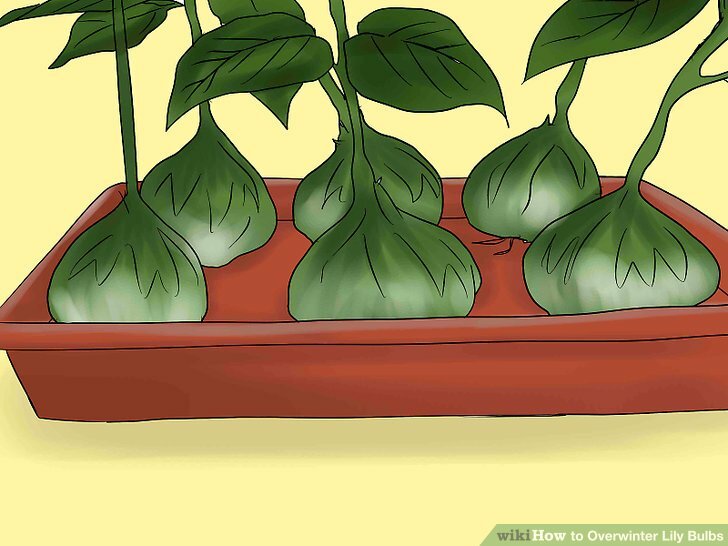 Many gardeners also recommend raising the lily bulbs above water level. 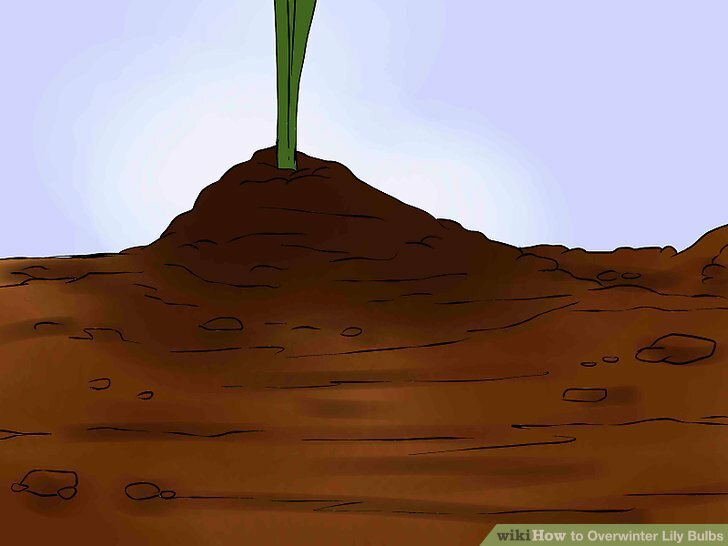 To do this, raise the surface level of the soil by creating a low mound over each bulb. This means your bulbs will be less likely to sit in wet earth, so you can prevent them from rotting through the wet winter months. Cover the ground with mulch. 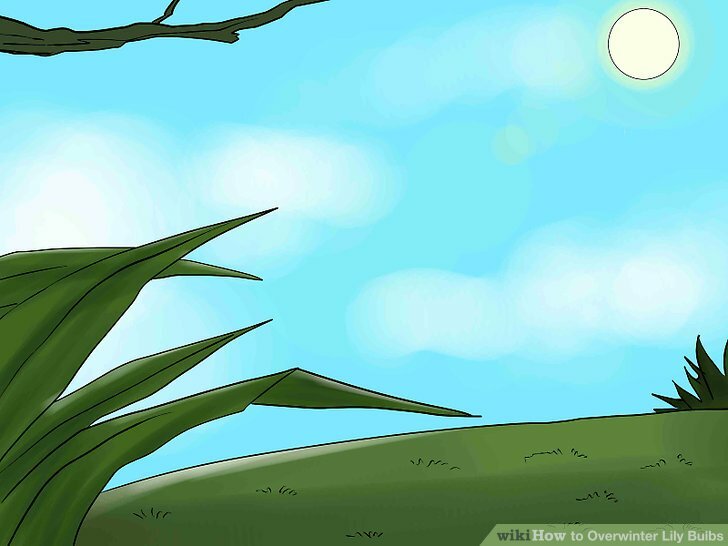 To protect the lily bulbs over the winter, apply a mulch of about 4 inches (10.2 cm) of straw or evergreen branches. Alternatively, place an upturned pot or cloche over the location of the bulbs. Do this in the fall before the ground gets cold. Replant the overwintered bulbs in mid to late spring. Wait until all threat of frost has passed and the soil has had a chance to heat up a little before planting the overwintered bulbs outside again. Mid to late spring is usually good time for this.. Choose a well-drained spot in a sunny position. Lilies prefer to grow in well-drained soil in sunny locations, however they will tolerate shade for part of the day. 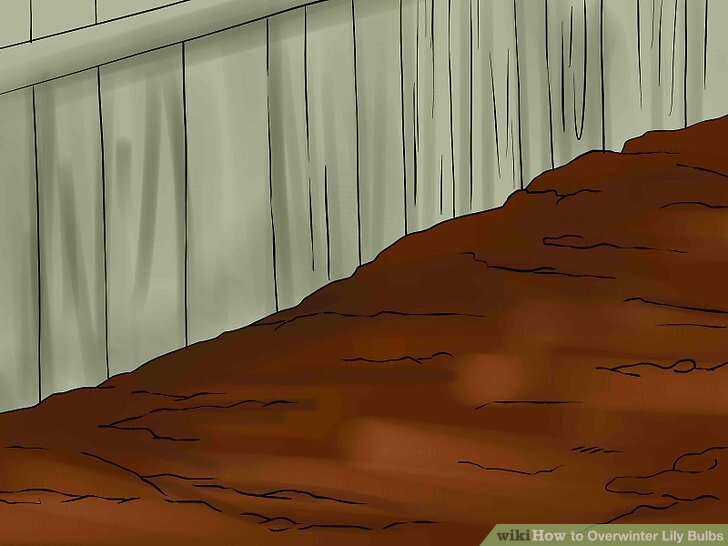 It’s a good idea to incorporate some well-rotted manure or compost into the soil to improve its quality ahead of planting. Alternatively, re-plant overwintered bulbs in a container .If you want your flowers to bloom especially early, try container planting in December. 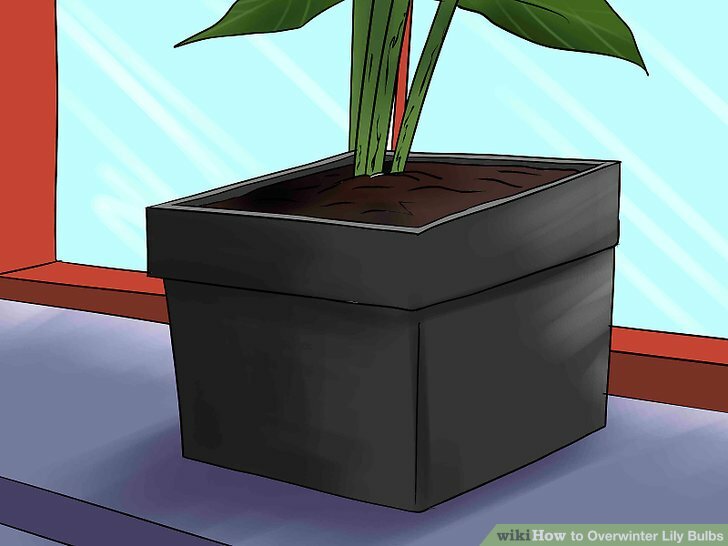 Keep the plant indoors at a cool room temperature in a light place such as on a window ledge. This should ensure flowering in the later spring. Water the bulbs after replanting. Feed the lilies once every two weeks. Remember to feed your lilies fortnightly during the growing period – a water-soluble fertilizer added to the watering can is ideal – but stop feeding ground-planted Lilies once flowering begins. 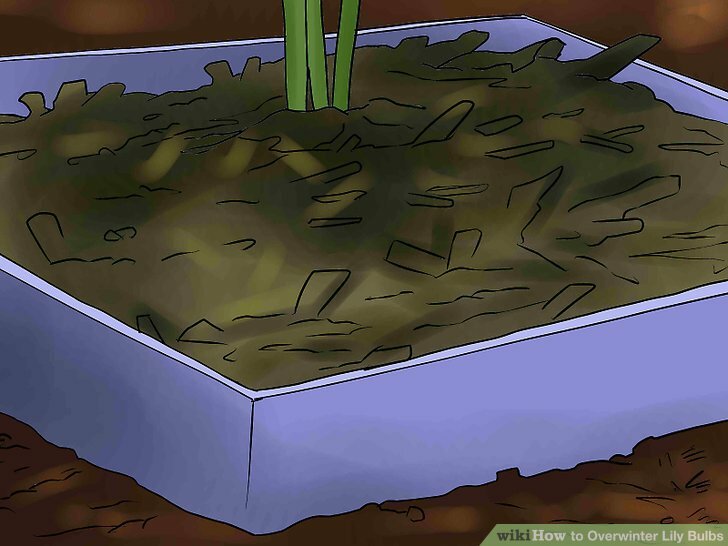 Continue feeding container-grown lilies throughout the flowering period. Lilies are generally trouble-free but can suffer from certain pests including aphids and whiteflies. Keep an eye out for these pests and spray as required with an all-purpose bug spray.